Another card for the stash! I reused a notecard front using it as a background on this card. I love the colours - off white, green, gray and black!! I trimmed the front to size and then punched a hole in near the bottom edge using the Modern Label punch (SU). 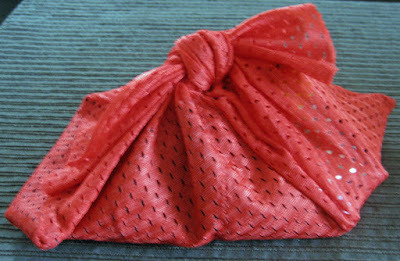 I added a length of vintage seam binding between the opening and the left hand side and tied another short piece to it to simulate a bow. 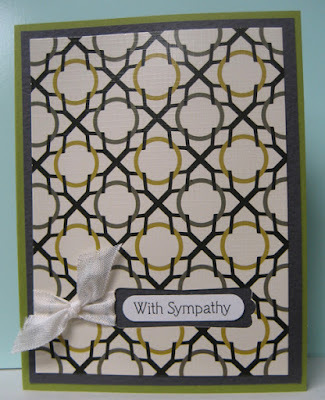 I layered this decorative piece to dark gray and then to a green card front. I added a laser printed greeting punched with the Word Window punch (SU) into the opening using double sided tape. 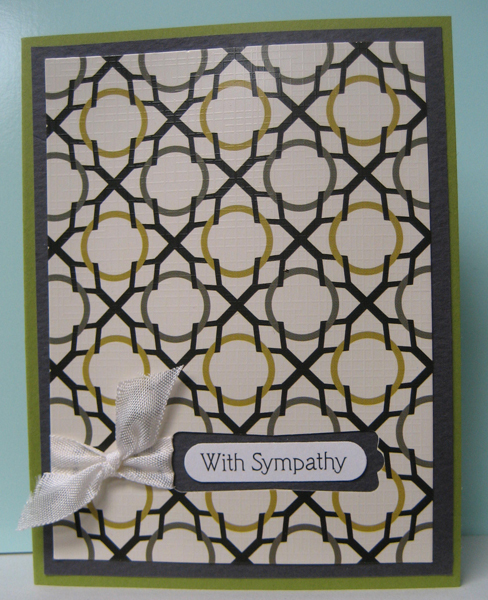 Perfect for a sympathy card! !